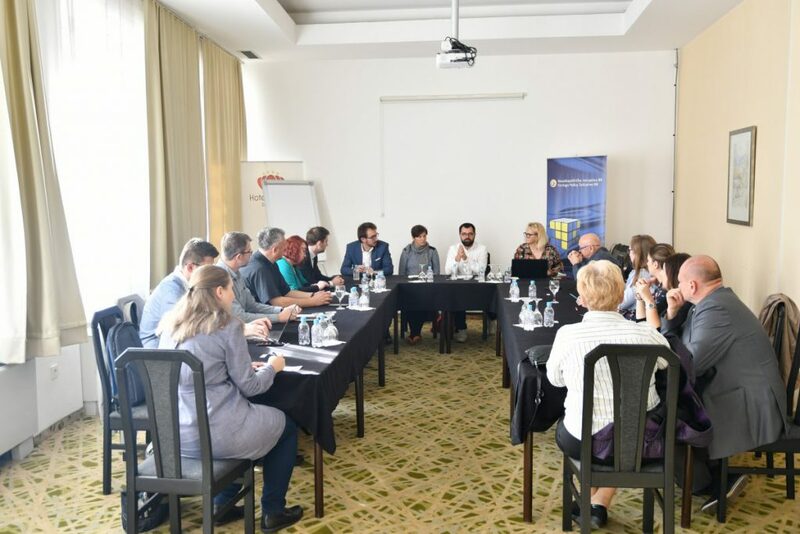 On 17 October 2018, Foreign Policy initiative BH – FPI BH(Sarajevo) in cooperation with Stratpol – Strategic Policy Institute (Bratislava), Centre for European Neighborhood studies – CENS (Budapest), and Association for International Affairs (Prague) organized a kick-off meeting of the project “My Neighbor, Success Stories of the Inter-faith Dialogue within and beyond the V4 Countries”. This project has a very pronounced component of working with young people, raising their awareness and knowledge on the values of inter-religious cooperation and developing tolerance among the youth population. The project was created because of the need coming from the Visegrad countries (V4) for strengthening inter-religious cooperation due to the rising migrant crisis and the rising religious intolerance within the European countries. The project focuses on raising awareness of the significance of the inter-religious dialogue in modern day life, not just within the V4 countries but within the European countries in general , on promoting good practices and experiences of coexistence and common values of different cultural and denomination groups particularly within the context of changes occurring in the world in the light of political changes in Europe, migrant crisis, problems occurring in education and employment, and discrimination that those who are different often face just because they are different. How to find a way to learn from each other and to share with each other the most positive sides of our culture and religion? The answer to this question was sought during this roundtable through examples of good practices by the roundtable participants who have, through the prism of life in Bosnia and Herzegovina (BiH), tried to illustrate to our guests from the V4 countries how our differences help us get to know ourselves and that one of the best examples, was during the unfortunate war in BiH, where different religious charitable institutions have acted together in order to offer maximum support and help to the people living in this country. There are many other examples of inter-religious cooperation in modern day life as well. Representatives of different religious communities, cultural heritage associations, youth associations and other CSOs have agreed that in BiH, once you have an in-depth look inside its history, its coexistence came organically. Our old customs indicate how one’s next door neighbor (komšija) is the closest person in one’s life, much closer to you even than your family, and that the best examples of living together are the examples of the neighbors who are the true illustration of togetherness and coexistence. The conclusion of this roundtable was that religion is a permanent matter in everyday life, however, it is very much intertwined in the political scene and it is very important to speak of these issues. The project partners from the V4 countries have agreed good practices and cooperation of different religions present within BiH can absolutely help in creating a bigger picture in the V4 countries, particularly in the light of the migrant crisis happening in Europe for the past several years.